We always knew we had powerful women in Egypt and the Arab World, but rarely would we give an account of them. Egypt Business Directory (www.egypt-business.com) took a look at the Egyptian women on the list and created brief descriptions about their life, focusing on the “What?” that made them effective enough to be entitled as “Powerful Arab Woman”. Ranked at place 6, the first Egyptian woman on the list is Dalia Mogahed; also known as “Obama’s Middle East Advisor”. Yet, her complete job description says “Advisor on the White House Office of Faith-based and Neighborhood Partnerships”. Being the first veiled Muslim woman to be appointed a position in the White House, Mogahed is also the Executive Director of the Gallup Center for Muslim Studies – a non-partisan research center that collects and analyzes data on Muslim views worldwide. She is also the author of the largest, most comprehensive study about the views of 90% of the world’s Muslim community. This six-year-research has been published in her book “Who speaks for Islam? - What a billion Muslims really think”. Having moved to the United States at the age of four, Mogahed has been confronted with the development of American thought and ideology towards Islam for almost all her life. Being the Managing Director and Head of Middle East and North Africa Barclays Wealth, Soha Nashaat occupied place 23 on the list of “100 Most Powerful Arab Women”. Being also on the Board of Directors of the Foundation for Renewable Energy and Environment, she was named “Woman Banker of the year 2007” at the 6th Middle East Businesswomen and Leaders Achievements Awards. She was featured in the Financial Times list of Leading Business Women in the Arab World in 2007 and 2008, and was in the Financial News top 100 women in Finance 2009. Nashaat worked in New York, Latin America, and London for more than 25 years, starting at Merrill Lynch and moving up in Barclays Wealth. By the end of 2011, Nashaat will retire out of her operational leadership role and become a Barclays Wealth Senior Advisor. 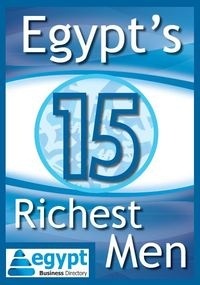 The executive director of the Egyptian Banking Institute Hala ElSaid ranked number 32 in the list. The Institute is a training and research institute that works on enhancing the knowledge and professional skills of human capital across the Egyptian financial sector as well as in the surrounding region. Being its executive director since 2003, ElSaid has held a number of successful programs with the aim of enhancing Egypt’s finance and banking sectors. She was even invited to Washington by the Obama Administration to take part in the Presidential Summit on Entrepreneurship. An award-winning journalist and international public speaker on Arab and Muslim issues Mona ElTahawy was given rank number 51. Before she moved to New York, she has spent her life in the Middle East, working as a news reporter. Her columns and opinionated articles are often published in the Washington Post and the International Herald Tribune. She was the first Egyptian journalist to live and work for a Western news agency in Israel. Having worked for Reuters, Canada’s Toronto Star, Israel’s Jerusalem Post, and Denmark’s Politiken, she received the Special Prize for Outstanding Contribution to Journalism from the Anna Lindh Foundation in 2010. Playing an active Twitter-role during the Egyptian revolution, ElTahawy has turned into an icon, analyst and influencer in Western media. Dr. Maha ElShinnawy teaches in the Department of Management of the School of Business, Economics and Communications at the American University in Cairo and earned place 65 in the list of “100 Most Powerful Arab Women”. As the director of Goldman Sachs – the world’s largest investment bank –Women’s Entrepreneurship and Leadership Center, she designed a program to teach 1,000 Arab women about business and management skills in 2008. Her research for the program included the effects of collaboration, virtual communication and culture on group interaction and performance, and has therefore set a milestone in Arab female Entrepreneurship, and helped those Arab women overcome more than just cultural burdens. “Focusing on succeeding in different angles of life consumes a lot of physical and emotional efforts, but when there is no place for anything but success, you eventually get success.” Lamiaa Fakhry’s statement could be a summary of her life and is the reason she was awarded place 66 on the list. Starting off with a career in hospitality and being the first woman to become a guest service director in Egypt, she moved to Saudi Arabia, completely changing her career. Today, she is the associate director of research consultants at YouGov Siraj – a research organization that focuses on diminishing the global stereotypes about the Arab World. Number 69 was dedicated to Sahar Sallab, an Egyptian woman who has served on the boards of the National Council for Women and the American Chamber of Commerce in Egypt. Yet, these are only her so-called “extra-curricular” activities. For 25 years, Sallab worked for the Commercial International Bank (CIB), becoming the bank’s Vice Chairman and Managing Director. She was also chairman of CI Capital, one of the biggest investment banks in Egypt. Having gained experience in both London and New York, she has later moved on to become the chairperson of HitekNOFAL, a family-owned business that works in high technology solutions and networking engineering. Given rank 73, Esraa Abdel Fattah is one of the few women on the list who do not hold mighty positions in big companies. Yet, her power and drive have brought her there. Being a blogger and an activist, Abdel Fattah called for nationwide demonstrations on the 6th of April 2008, not expecting a high rate of response. But the future taught her otherwise: Demonstrations erupted and people started moving, and eventually, the 6th of April Movement was founded, serving as an opposition to the Mubarak-regime. What escalated the situation was her detainment right after the 6th of April 2008. She was released after a couple of weeks, and was active in the movement for some time, before she ultimately cut off her connection to the group. Being silent for two years, Abdel Fattah re-emerged during the 25th of January revolution, and is once more fighting for political change. Being the youngest woman on the list, Farida Mohammed Farid Khamis ranked place 76, as the 29-year-old Vice Chairman of the Oriental Weavers Carpet Firm. Founded in 1979 by her father, the company became the world’s largest producer of machine woven carpets. Khamis has been running the company along with her sister Yasmine for over ten years now. In the 2008-downturn, they had managed to keep the company up and running, and performing better than ever. Researcher Heba Raouf Ezzat was ranked number 96 on the list, being an active contributor to mass media and publications. In 2005, she was chosen by the World Economic Forum to be a Young Global Leader. A co-founder of www.Islamonline.com, she is working with a number of civil gorups to promote interfaith initiatives. Besides rriting about Women and Politics in Islam, and Islam and Secularism in the Middle East, she is also a visiting researcher at the Centre for Study of Democracy, University of Westminster and an associate researcher at Oxford Center for Islamic Studies. Ezzat taught political theory at Cairo University and the American University in Cairo.